Trasona Cove West offers two unique product series beginning in the low $300’s with eight new floor plans to choose from. The Beach Series features one story floor plans with bonus room options and 2 car garages (per plan) ranging from 1489 to 2752 Sq. Ft. The Key Series features one story floor plans with bonus room options and 2 or 3 car garages (per plan) ranging from 2081 to 3418 Sq. Ft. All exterior landscaping maintenance and irrigation is included and customizable! Trasona Cove West is built using the Coving philosophy of community design. Coving is an innovative method of urban planning that prevents the typical uniform appearance of subdivisions by varying lot shapes and home placement along winding roads. Coving’s reduction in road surface adds usable land for lots and parks as well as trails. Individual coved homesites also gain aesthetic value from the separate meandering setback lines, sidewalks, and roadways. Trasona Cove West is centrally located to all Viera has to offer including, The Avenue at Viera, Health First Hospital and A-Rated schools. 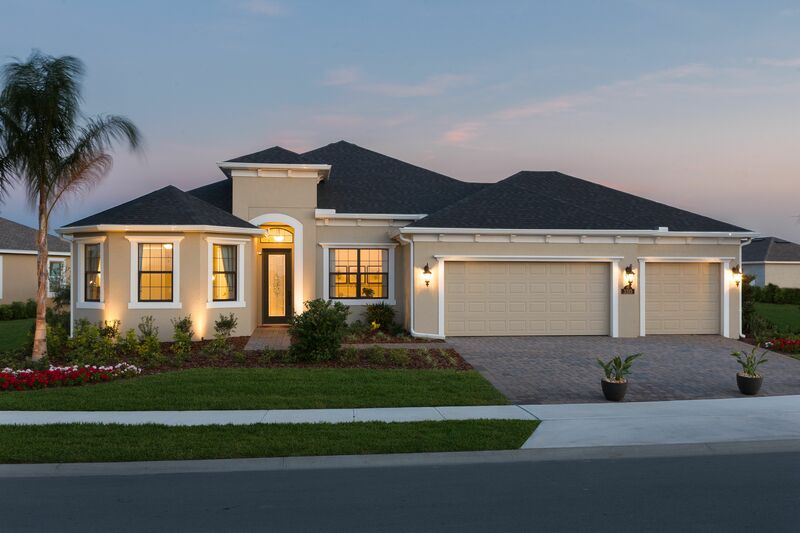 Viera Builders is a proud member of Florida’s Build Smart program and every home in Trasona Cove West includes energy efficient features.